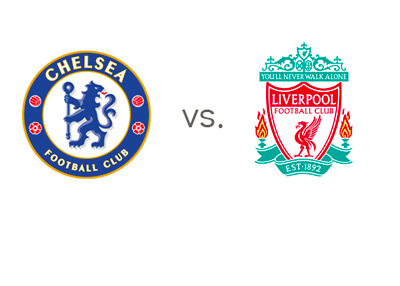 Third place Chelsea host fourth place Liverpool in the nineteenth and last fixture of the first part of the 2013/14 season on Sunday, December 29th. This is a big game! Chelsea are two points behind first place Arsenal and one point ahead of Liverpool. Jose Mourinho's team are playing tight, one goal difference type of games, but they are managing to win most of them. Most recently Chelsea beat Swansea City 1-0 after splitting points with Arsenal at the Emirates. Chelsea are undefeated at home this season in the EPL and Jose Mourinho has never lost at home while leading the Blues. Liverpool were temporarily in first place last weekend before they were beaten 2-1 by Manchester City at the Etihad after going up first. The Reds beat Cardiff 3-1 mid week, after the famous 0-5 victory vs. Tottenham at White Hart Lane. Luis Suarez is on fire with 19 goals from 13 games so far this season. On Sunday, Liverpool will have to do without their captain Steven Gerrard, two full-backs, Flanagan and Enrique, as well as their other star striker, Daniel Sturridge, due to injuries. Chelsea are the favourites to win at home. A 100 € bet on the Blues could return 120 € in profit, while the same bet on the Reds could return 250 € in profit. The most likely score, according to the odds, is a 1-1 draw, offered at 6/1. 1-0 victory for the hosts is valued at 10/1 and the reverse 0-1 scoreline is valued at 14/1. Luis Suarez is the favourite to score at 1/1, followed by Samuel Eto at 11/8. Demba Ba and Fernando Torres are valued at 7/4 each. One interesting fact about the upcoming game is that Brendan Rodgers, the Liverpool manager, started his coaching career under Jose Mourinho at Chelsea as the youth-team coach and later as the manager of reserves between 2004 and 2007. This will be the first time the two coaches meet since working together. This is the most promising game in Euro football this weekend.